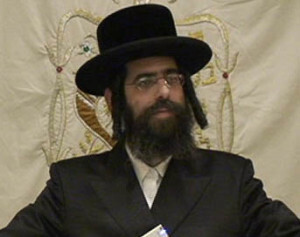 Rabbi Efraim Twerski is the Rabbi of Congregation Khal Chasidim located in the West Rogers Park neighborhood of Chicago. Khal Chasidim is known for its exceptional warmth where Jews of all walks of life feel welcome and at home. Rabbi Twerski is a scion of the Chernobyl, Sanz and Bobov Chasidic dynasties. He grew up in Milwaukee, Wisconsin and is the second son of Rabbi Michel and Rebbetzin Feige Twerski. Rabbi Twerski learned in the Bobov Yeshiva in Bat Yam, Israel and later at the Yeshiva of Lucerne Switzerland. He married Raizel Iliovits of Sao Paulo, Brazil in 1992 and lived in New York where he learned in Kollel Mateh Efraim where he was ordained. Rabbi Twerski moved to Chicago with his family in 2001.